Yesterday, in particular, the occasion of Earth Day, combined with the Science March, highlighted two of my main concerns: the well-being of the earth and the well-being of all living creatures who inhabit the earth. 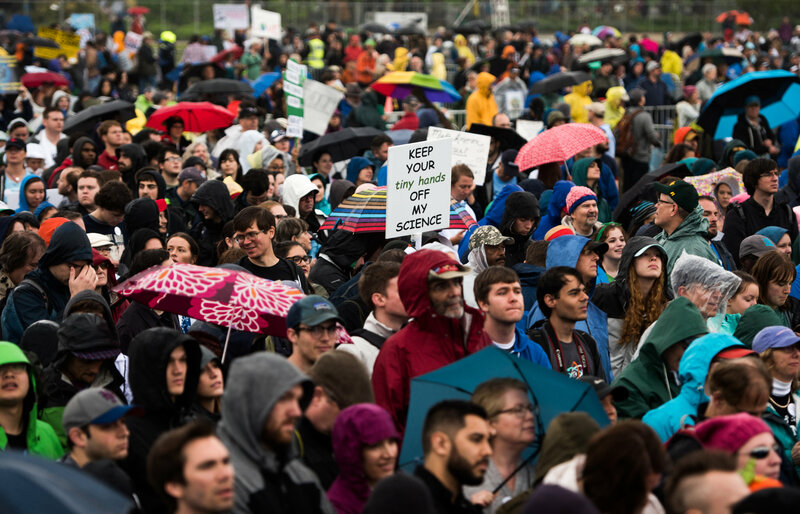 This blog is a shout out to the thousands who turned out yesterday here and Boston and all through our nation to march for Science. It seemed unbelievable, the need the educate, never mind to organize a march, to emphasize the importance and worth of scientific thinking and reasoning for the growth and safety of our nation. Eager to get a close-up of the Washington events, I logged onto the Washington Post live stream from the podium. Rain drops clouded the feed just a tad but did not deter my appreciation of the crowd trying to stay warm and dry as they listened to the speakers representing scientific organizations of every realm. It was clear: we are a nation under siege from our executive branch and now is the time to step forward to protect what is precious. Like many fellow writers, I turn to the written word to shout out, to express my concern, and to try to make a difference. In the lead up to the planning for the march in Washington, The New York Times posted a book review column titled, American Poets, Refusing to Go Gentle, Rage Against the Right. The columnist, Alexandra Altra, caught my attention in her description of the poet, Jane Hirshfield. The poet Jane Hirshfield has never thought of herself as an agitator. A self-described “genuine introvert,” Ms. Hirshfield likes to spend her days gardening, hiking and writing verses about nature, impermanence and interconnectedness. But a couple of months ago, to her own surprise, she emailed the organizers of the March for Science in Washington and urged them to make poetry part of the protest. 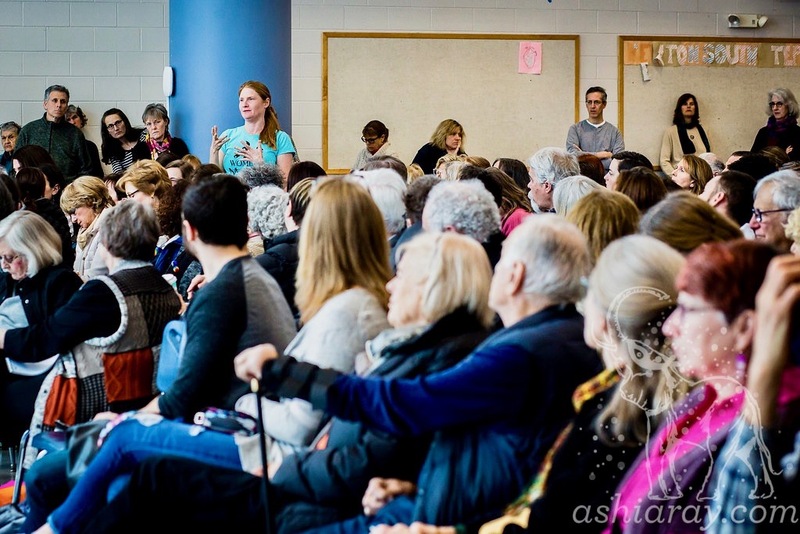 At the rally on Saturday, Ms Hirshfield will read her new poem “On the Fifth Day,” which addresses climate change denial and the Trump administration’s dismantling of environmental regulations. I am grateful to identify with a sister poet/gardener and offer her poem, On The Fifth Day, for your reading. Just click on the title above or continue on. This entry was posted in Creativity, Currents, Mindfulness, Nature, Politics, Relationship(s), Sustainability, Uncategorized, Well-Being, Writing and tagged climate change denial, invest in science, save science, speak up on April 24, 2017 by fayewriter. When a word sticks in my head, appears and re-appears in my consciousness, I know something is brewing. 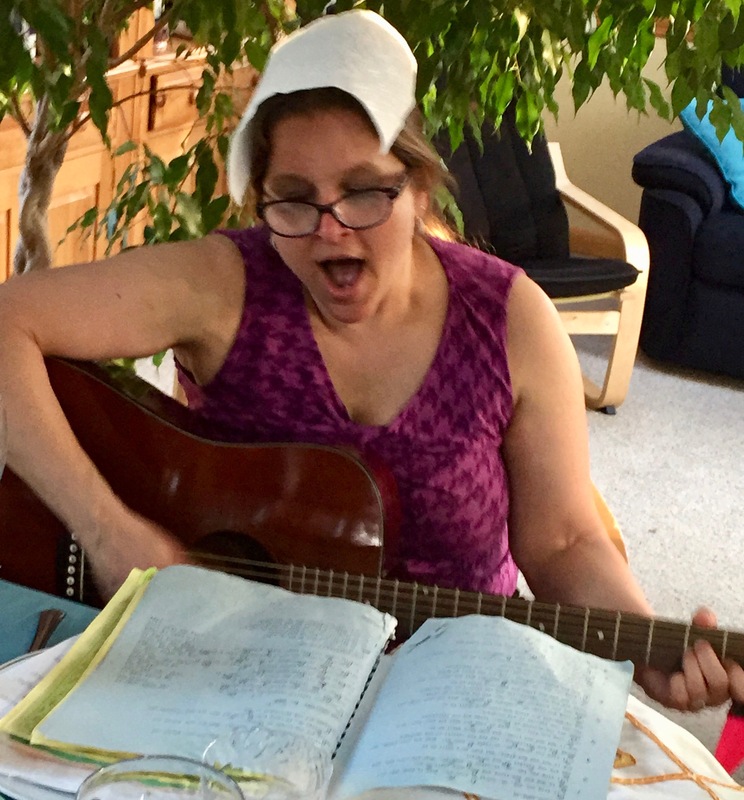 On this, the 6th day of Passover, the day I will prepare charoses for our family Seder, hosted for the first time by my daughter, Beth, the words pass over cry out for attention. The event of Beth’s stepping up to host the Seder marks the passing over of the beloved and sacrosanct family Seder to the next generation. Last year at this time, my first cousin Sid, then 99 years old and living in an assisted care community, carried on the tradition to host my mother’s extended family of cousins and friends, a group of 40 plus. Sid’s death this past fall marked the ultimate passing over, the end of a five generation Passover gathering of my mother’s family. Sid’s older brother, Lew and his wife, Selma welcomed Marv and myself as a newly arrived couple in the Boston area. Spring, 1958, the sight of an elongated “T” table set with Selma’s personally constructed Haggadah set the scene. Lew, as eldest son of Kunah, my mother’s half sister, an articulate and wise lawyer, held the reins, insisting that each and every participant read aloud in English or Hebrew, that we all take part. The mood was irresistible: we were grateful to come together, to re-tell the story of our ancestral exodus from tyranny, to raise our cups in thanks, to sing with verve and spirit. As a child, I had little sense of the meaning of Passover. My father read the entire service in Hebrew from a black bound book lacking pictures, transliteration and songs. In contrast, Selma’s 8×10 bound Haggadah was printed in English and Hebrew, and included songs and pictures drawn by all the children. When Selma and Lew passed, Sid and his wife relocated the Seder to their home in New Jersey. For two decades, I took over hosting our own small version of the family Seder. Using Selma’s Haggadah, I followed the tradition of my mother’s extensive menu of hard boiled eggs and salt, gefilte fish with horseradish, chicken soup with matzos balls, brisket, tsimmes, fresh green asparagus, my own baked macaroons and fresh fruit. When my children married and started their own families, each one continued the tradition— Craig, returning home those first years and ultimately taking Selma’s Haggadah to the Midwest and Beth, still in the Boston area, joining with me, cooking the chicken soup. To continue on, we adapted. To include family members from afar, we shifted the Seder to a weekend date. In time, to accommodate restless children,we shortened the story telling and experimented with new and modern Haggadahs. I recall my gratitude a decade ago when Sid relocated and re-instated the family Seder. With his passing, I am grateful that Beth has stepped up to host this first year with her family and close friends. Yesterday, I spent the afternoon scraping and cutting carrots and sweet potatoes, mixing the dried fruit, orange juice and spices to blend the flavors. My mother, Goldie’s hand written recipe card, alongside my favorite New York Times recipe, guided me. I am grateful to continue on. This entry was posted in Creativity, Currents, Happiness, Mindfulness, Relationship(s), Uncategorized, Well-Being and tagged family connections, Family Haggadah, Jewish tradition on April 17, 2017 by fayewriter. Happy Passover! Happy Easter! Back next week. This entry was posted in Uncategorized on April 10, 2017 by fayewriter. For those of you are trying to focus on a way to make a difference, I offer Part II on Training To Make A Difference. I’m grateful to those of you who weighed in on my last blog and offered feedback about how difficult it is to focus on one issue. Scrambling events, scrambled minds seems to be the order of the day. All the more reason to call upon what is common knowledge about mindfulness— to pause, take a deep breath, and seek resonance to what calls you. Initially, I scratched my head at this suggestion and then, thinking about the big picture, the element of weighing in, the surprise of commonality made sense. It’s as simple as showing up. Be a body among others. How many times since Trump took office have I been amazed, surprised, pleased, grateful for the throngs of citizens who show up at public forums, at the doorsteps of their representatives, in marches, with placards, unafraid to shout out what is essential for their well being. Following the training, there was a lengthy Q&A session. The following points are salient and useful in understanding the impact of participation. In relating to those with different views—1. if you start with your values, you open a discussion about how to fix a problem. 2. if you start with your policy position, most people will assume you are closed to their point of view. I close with gratitude for the opportunity to share this valuable advocacy training experience with my readers. In highlighting the information I felt most compelling, I have a far greater sense of how each and every one of us, in stepping up in small and big ways on issues that relate to our values, can make a difference. As always, I am grateful for the give and take of comments and look forward to your sharing. This entry was posted in Creativity, Currents, Mindfulness, Politics, Relationship(s), Sustainability, Uncategorized, Well-Being, Writing and tagged attach to ideas, lead with values, Make a difference, stay informed on April 3, 2017 by fayewriter.